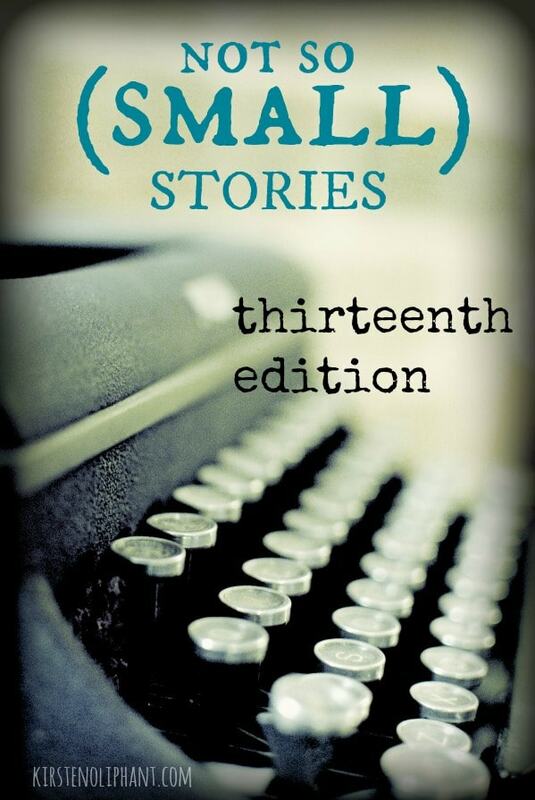 Welcome to Not So (Small) Stories, Edition Thirteen! This week I’m writing about writing for your audience. Or, at least, with your audience of readers in mind. Should you actually try to write FOR them? How can you know them? Let’s take a look. I still vividly remember the first time I taught Sunday School when I was a fresh-faced assistant youth director here in Texas. I do not recall the subject or Bible passage, only that I felt really pleased with how it went. I love teaching and spoke from the heart while the students (from 6-12th grade) listened intently. For 9am on a Sunday morning, I felt like I had captivated them with my message. Afterward, my boss pulled me aside and I prepared for a glowing review. As soon as he said it, I was mentally tracing back my words, which I realized were riddled with language that wouldn’t have made a ripple among my college friends, but might have explained why I had rapt attention so early in the morning. Maybe not the best start to my career as a youth worker. This, my friends, illustrates the importance of audience. I knew my audience in that case—I stared straight at them from a few feet away. But I hadn’t been tailoring my words with them in mind or hadn’t been in control enough of my diction for that group. Public speaking is perhaps harder for this because things like nerves can get in the way. Or, if you’re like me, you don’t read a script, but plan an outline and go. Writing affords us a chance to better plan for our audience. Or does it? It all depends on if you know your audience and if you can find a way to tailor your words to them. Here are a few tips to write with audience in mind. One thing to consider is a simple survey using something like Survey Monkey. I have done these periodically and plan to do one again, both with my blog readers and my email subscribers. Ask a bit about them, where they came from, why they read, what things they like and don’t like reading. Get to know your audience by seeking them out. Not everyone will respond, but perhaps enough to gauge your readers a bit better. 2. Write with Them in Mind. I have a good sense of much of my audience, and I have attracted quite a sundry bunch. (Yes, I realize you are reading this, sundry bunch. I think of that as a compliment. And I <3 you big time.) 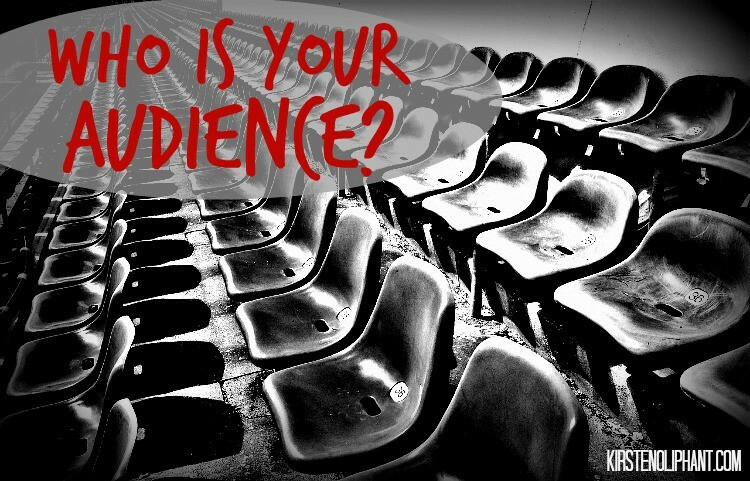 How can I write for my audience? I don’t. It can be a huge mistake to write simply for your audience. After all, you can’t please everyone all the time. Maybe we should also think of the chicken and the egg concept here: which came first, the content or the audience? Though in some ways we come with a ready-made audience of friends and family or contacts, the content is what draws the audience. Audience, then, should be considered, but perhaps not catered to. Can you ever make all readers happy? No. But you can write with them in mind. An example from my blog would be my posts about faith. I don’t write about my faith that often, though it’s quite central to my life. When I DO write about it, I write considering that about half my audience (as far as I have identified) does not share the same faith as me. This does not mean that I’m less bold or try to hide the differences, but I try not to use church-y terms and I think of how my words might have hit me at 13, the year before I came to believe. Surprisingly, I have found that a lot of my readers who don’t share this same belief system will comment and tell me they read those faith-y pieces. I’m sure they turn some people away from the get-go, but to have people reading them who aren’t in that same boat? I LOVE IT. As I mentioned, I have a lot of lurkers. I lurk around a lot of blogs, so I am cool with those who read without commenting. (Silent digital fist bump, lurkers!) I don’t tend to garner tons of comments, even when I have a very popular post. There are tips and tricks to get more comments like having a great question or call to action, but so far none of those seem to snag my brand of readers. But I have found that encouraging my email subscribers to reply has been getting results. And when someone emails me? You better believe I email them back. Unless I become some kind of insane giant with too many replies, I will be responding to my readers. Whatever way you can connect with your readers, it creates community. It tells your readers that you listen too. It humanizes you and bridges the gap between anonymous blog-writer (that is, if your readers don’t know you) and real person. That kind of connection keeps people coming back, whether you are responding to emails or to comments on your blog. So, readers—a call to action! This week, try to identify your audience a bit more whether through a survey or something else. Consider them as you write and find ways to engage and connect. As you link up here, you can know that part of your audience is this little community, and we’re really nice. There is no prompt this week, so link up a post with some recent writing you want to share. Go visit the other writers over the week and share the love if you like what you read! I love your Not So Small Stories posts! So insightful, and they always get me thinking. I’m working hard to just post regularly at this point, so my readers will have to settle for whatever I manage to dish out! I’m glad they’re making you think! We are all at different places with our blogs and so I hope wherever you are, it’s helpful. I definitely am in the trenches with you guys learning along the way. To be quite honest, I find this blog a bit offensive! Me and others who do not leave comments berating for lurkers. That’s not nice. Given that you yourself also only looks at someone else’s blog without a comment behind. Be glad that your blog is being read, because this blog post emits only people off. That is not what you want to achieve? When I look at your blog, the first thing you see is that annoying bar with the message to sign up for your newsletter you and then you get a free e-book about the church that is not cute. Not really appealing to people who visit your blog for the first time. And that may be a reason that people drop out and not come back. Anyway, you would like people to submit a comment. Well, then you have a response from me here. Greetings from a former follower of your blog. I am SO sorry to have offended you! While the connotation of “lurker” is often offensive, I did NOT mean it as such here and have talked about loving my lurkers as well as being one. I suppose in my mind, it’s similar to the way Lady Gaga lovingly refers to her fans as “little monsters.” I love my readers–the ones who comment and those who don’t. I thought I made that clear (did the digital fist bump to lurkers not suggest this?) but I’m sorry if you took offense about it. I’m also a little confused by your response about my ebook. I realize not everyone likes those scrolling bars, but they are an effective tool to show people that I have a newsletter, so it’s a choice that I made intentionally. My book is called Church Isn’t Cute: the Messy Intersection of Life and Faith. Did the title offend you? I do understand that type of book may not be for everyone and it’s absolutely your choice whether you get the free copy and/or read it or not. I think I’m not sure why the idea of offering a free book and advertising that, whether a book you want to read or not, is offensive. You call yourself a “former follower,” which leads me to believe you were following for some time, and I feel like the confusion about my book and my writing about lurkers would have been more clear to someone who has followed me and known me for a while, but maybe not. I do hate to lose readers or offend people, and I’m sorry that I have somehow done both in a post about audience! It seems that it’s true that you can’t please everyone, but I am still sorry to see you go. Hi there! I’m a relatively new lurker. (: I’m glad to have found your blog. Thanks for the tips and suggestions today!